If I have VA benefits do I need Medicare? There is a lot of misunderstanding out there where it comes to VA Benefits and Medicare. Many Veterans believe that because they have access to the VA hospitals and clinics for their care that they do not need to sign up for Medicare Part B. Many veterans skip signing up for Medicare Part B because of the monthly premium. They don't ask the question, “If I have VA benefits, do I need Medicare?” Many just assume that they don't. They do not realize that Veterans Administration Benefits are not considered a Health Plan. Because they are not considered a health plan, they are not considered creditable coverage for Medicare Part B. 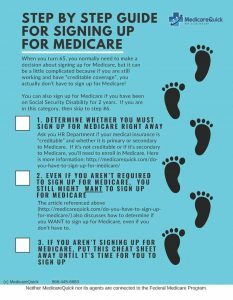 This means that if you do not sign up for Medicare Part B when you are initially eligible, and then sign up later, you will be subject to the Part B penalty of 10% per year. Additionally, you will have to wait until the enrollment period in order to enroll and so you could be without coverage for an extended period of time..
Before you cancel your other insurance, understand that there is no guarantee that Congress will appropriate sufficient funds for the VA to provide care for all priority groups. Currently there are 8 priority groups. Also, you should understand that non-Veteran spouses and other family members do not usually qualify for Veteran’s Health Care. Lastly, if you do not enroll in Medicare Part B, or if you cancel Medicare Part B, you cannot reinstate coverage until the next enrollment period, which is January 1st through March 31st of each year. People with Veteran’s Benefits can still go to a non-VA provider. If you have Veteran’s Benefits, you can get a Medicare Advantage program (sometimes these can have a zero premium) as long as you have both Medicare Parts A and B, but keep in mind that your care should be coordinated to prevent a negative effect on your health. Be sure that both your VA providers and your non-VA providers know what is happening with your health care, and that they also know what medications you are providing. Since there is no requirement for the VA to be to exclusive provider of care, consider your options. One of my clients signed up for an MAPD plan in addition to his VA benefit because he was finding it difficult to get to see a provider in a timely basis as the VA. Additionally, the VA was 30 minutes from his home. The MAPD plan that he selected had Primary Care Providers that were within 10 minutes from his house. Having both plans allowed him to be able to choose each time he needs care where he would like to go. He asked himself the question, “If I have VA benefits do I need Medicare?” The answer was no, he didn't feel that he needed it, but he WANTED it, and since it gave him additional access, he decided to go ahead and get it. For more information, please contact us at 866-445-6683 or fill out our contact form.